As you may or may not know I finally got the Silhouette CAMEO...yup totally been working on the Portrait, without a problem in the world, for about a year now. But I put on my big girl pants a few weeks ago when the price was right and got myself a Silhouette CAMEO bundle. 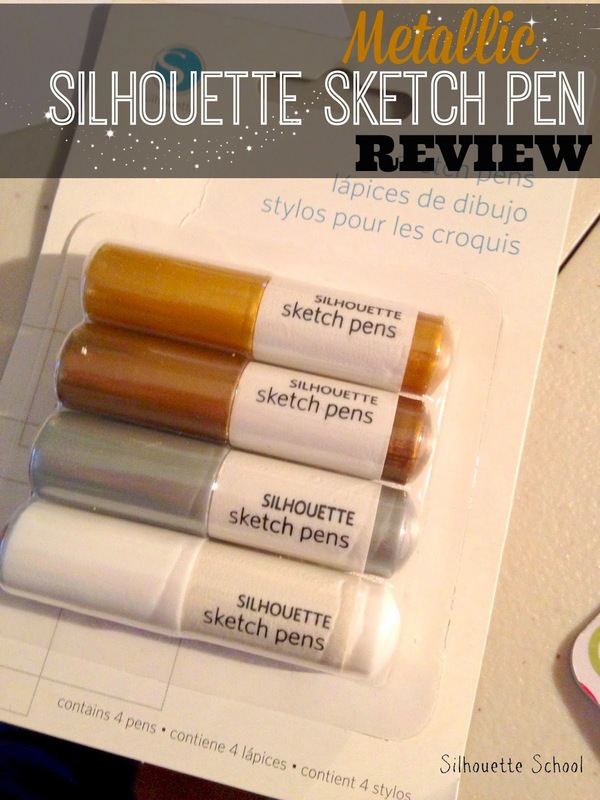 The bundle included the Metallic Silhouette Sketch Pens which I was excited about because I've honestly never used Silhouette's brand of sketch pens before. I always make my own sketch pens or use a regular ol' Bic with my Amy Chomas holder. 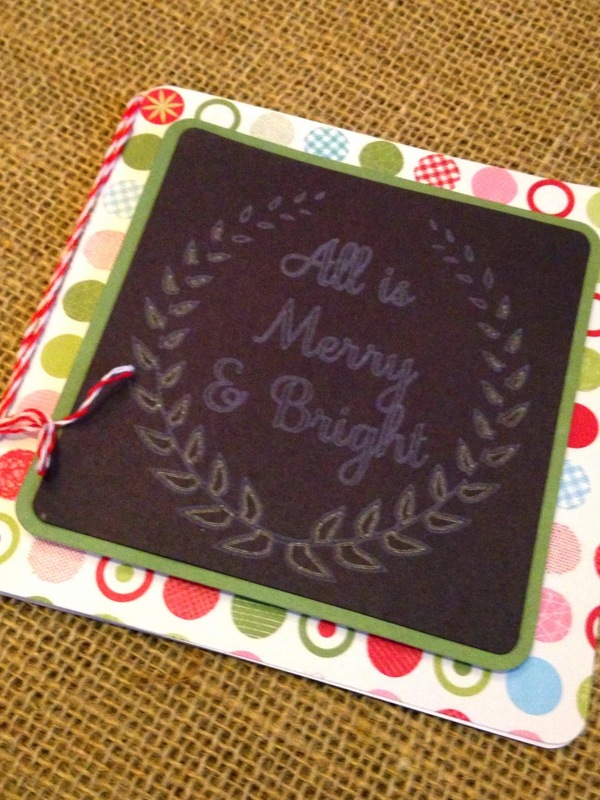 Anyway...I thought how perfect the white Silhouette Sketch Pen would be to make a chalkboard-style Christmas card. The pens fit in the holder perfectly so there's no messing around with a popsicle stick to make sure the pen doesn't drag across the page. That's a big plus for me! I sketched on black construction paper with the white pen but when in dried, the white was very subtle and more like a gray which was not really the look I was going for. To give the card a little glam, I also did an internal offset on the wreath and switched out my white sketch pen to the metallic bronze. I am much more satisfied with the bronze than the white which is kind of a bummer since I think the white is probably the color I'd use most in the whole set. I am still testing some other chalkboard pens with tips 1mm-3mm so I can get the very fine point and I am hoping that at least one of them can pass my white and bright test. I don't have these so I can't try, but I wonder if you used cardstock instead of construction paper whether you would get a better result. I have found regular white pens don't do as well on very porous paper as on cardstock, I think the ink soaks into the soft fibers. Just a thought,. Love your site and am learning so much. Thanks for all you do! I have got a good experience from these pens.I was used it for preparing an essays for my school work.And it is good. Did you find a chalkboard type pen you liked? I don't like the white on black card stock, either. I tried this on Black cardstock with the white pen and it did pretty well first time out, however, the other colors were iffy... lots of spaces and no ink areas of the pattern. I was disappointed. I ran 3 different colors over the same pattern and still didn't get the full picture.